Talk About It! 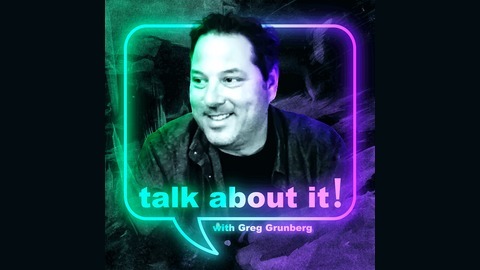 – The Podcast, hosted by Greg Grunberg and produced by the Epilepsy Foundation, is a new and exciting way to help raise epilepsy education and awareness. Each episode will include interviews and profiles of people living with epilepsy, facts and stats about epilepsy and seizures, tips on healthy living, and special guests from all over the entertainment world. Talk About It! – The Podcast is created and produced by the Epilepsy Foundation with Bandwagon Media. The Podcast is sponsored by Sunovion Pharmaceuticals, Inc. Producers: Greg Grunberg, Brad Savage, Nick Marzock, and Ken Lowenberg. Theme music by J.J. Abrams. The Epilepsy Foundation is solely responsible for the content. Chapter 5 - Unraveling A Mind Unraveled! 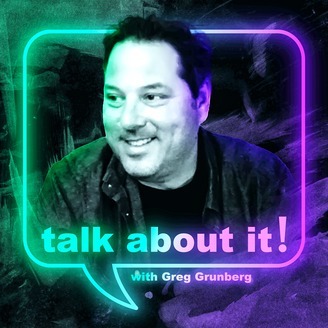 Greg unravels the mind of author/activist Kurt Eichenwald Kurt Eichenwald to discuss his groundbreaking new book and his struggles and triumphs living a remarkable life with epilepsy.